In a broad sense, Anthem’s Fall is a collision of two stories. One side of the novel introduces Kristen Jordan, a young graduate student working on a cutting edge research team in New York City. Kristen is one of the scientists behind the Vatruvian cell, a mysterious new technology that replicates living cells. Kristen is incredibly brilliant and savvy, but she remains uneasy about the capabilities of their Vatruvian cell. The distinction between our world and Anthem is not as simple as it first seems. The race of men and women on Anthem uncovered their godlike power in an ancient and victorious war for survival. But once they were given the strength of gods, they abandoned the things that made them men. The most omnipotent among them long ago created an empire unchallengeable for all of future time. No weapon can harm their perfect flesh, no technology can trump their transcendent selves, and no one can possibly dream of overthrowing their rule. Yet this world of gods is only introduced at the moment of its fall. For a new technology is created on Anthem, and with it is born unspeakable machines forged using the very power behind their strongest sons and daughters. The machines come to topple the cities of Anthem to the sounds of a holocaust, and bring a race of warrior-gods to its knee. 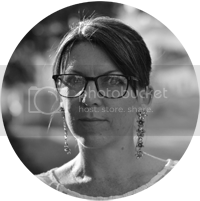 All the while, the technology behind the unstoppable machines rings familiar to a particular Vatruvian cell being studied in New York City by Kristen Jordan. Two worlds collide in Anthem’s Fall, and the fate of each becomes intertwined in the plot that ensues. There were two paramount inspirations that went into the conception of Anthem’s Fall. The first was an ambition to create a modern “superhero” story that didn’t revolve around good and evil. I can’t tell you how much it drives me nuts when a character is simply the “bad guy” who wants to cover the world in darkness and kill everyone in sight. Frankly, the “good guy” can be just as infuriating. It’s all well and good when a superhero stops a bank robbery or saves the girl, but when you push that reality a little further, bigger questions are left unanswered: what are this hero’s thoughts on civil wars, or human rights violations, or national sovereignty? My goal in Anthem’s Fall was to create a cast of characters that act in full three-dimension at all times and only rise to the call of “superhero” or “supervillain” begrudgingly. All of the three main characters are exceptional in their own way, but each of them resents that exceptionality. On some level, each of them only wishes to be left on the sidelines of the calamitous plot instead of being at the front and center. And who will ultimately get defined as “good guy” or “bad guy” is in large part up to each individual reader. The second inspiration to Anthem’s Fall was the world of Anthem itself. I hoped to create a vision of a future that looked paradoxically more like our past than any genre-established depiction of a sci-fi future. I like to call Anthem my own little anti-dystopia. It’s a terrible place to live, and one that is home to historic and modern atrocity. Anthem is futuristic and has advanced technology, but I think you’ll find it reminds you more of ancient Sparta than a futuristic society you might expect in a science fiction novel. It’s a world run by warriors, brutal and cruel. They live by the code that the strong must overcome the weak lest the strong become weak in turn. And ultimately it will be up to Kristen Jordan, a reserved young woman in New York City, to prove them otherwise. I’ve always looked up to authors with admiration. Authors work in the realms of awe, joy, sorrow and wonder. A writer’s task is to take a blank page and turn it into entertainment. Raw emotion is the medium of the writer, and that notion has inspired me for as long as I can remember. When I look back at some of my favorite books, I recall most distinctly the feeling of being pulled away from my own life. The best books transport you away, and lift you above the day to day. Unlike anything else I can think of, books truly ignite the imagination. The impetus that truly set my writing life into motion was the first glimmer of an idea that would turn into Anthem’s Fall. I was driving on a highway in Vermont, and out of the blue the three main characters of the novel appeared in my head. The whole plot fell into place at once. After a few weeks, I realized I couldn’t get these characters out of my thoughts. Over time this passing premise, this unwritten story, consumed me. I knew I had to write it. And so one morning I started writing. And writing. And writing. And editing. And rewriting. Almost five years and about a half million words of rewrites later, I look back at the day I first started and I recognize that it was raw passion of the purest form that kick started my writing. My taste as a reader is quite eclectic, but I tend to get most passionate when it comes to the fantastical. Anthem’s Fall is science fiction, but it also has strong aspects of fantasy. It’s a genre-bending novel, with many different inspirations. I always knew that I would write science fiction or fantasy. It takes so much momentum to gather up the ambition and sit down to start a novel. In that sense, fantasy/sci-fi are the only genres that intrigue me enough to devote such a sheer volume of time to a singular task. They are genres where a familiar world can be introduced and then thrown for a loop. I can’t think of a more exciting undertaking, for both a writer and a reader, than to conceive of a relatable world and then cast it into an exhilarating plot. To keep writing! 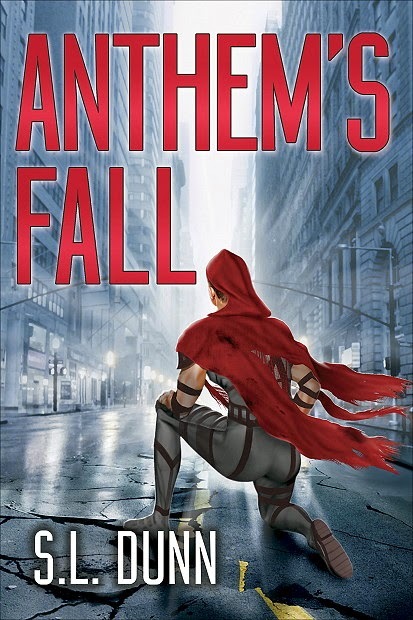 I’m already halfway finished with the first draft of the sequel to Anthem’s Fall. My hope is to release it sometime in the late fall or early winter. I also have a few shorter works I intend on releasing in the near future.